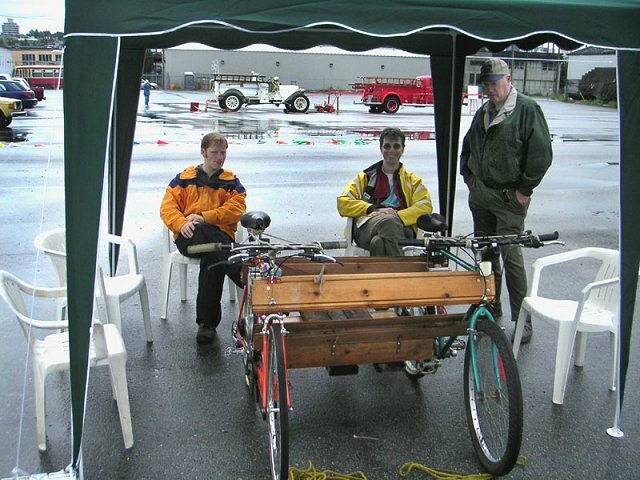 The 10th Annual Electric Vehicle Show and Ride was held in the auxilliary pits area of the Indy track at the north foot of Ontario St, near Science World on Saturday, June 11, 2005. Despite a threat of all-day rain, the attendance exceeded that of previous years. Private and commercial exhibitor participation was high. The level of interest from people looking at alternatives to gas-fueled cars was the highest it has ever been!